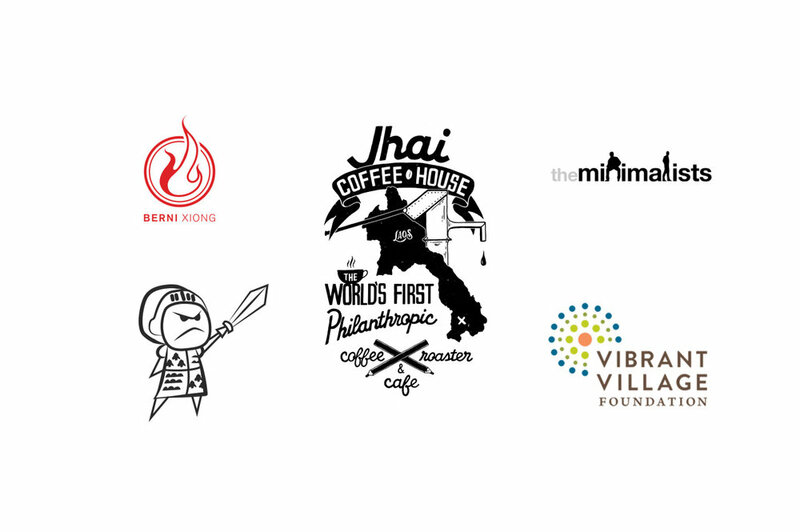 Jhai Coffee House is a non-profit, US-based 501(c)3 charity organization, which operates as a social business, coffee roaster & cafe in Laos. Each day Jhai serves coffee to anywhere from 5-50 backpackers and tourists visiting the Bolaven Plateau's lush greenery, coffee scene and beautiful waterfalls. In addition to being the headquarters for the JCFC, Jhai has also been actively involved in installing clean water wells and performing hygiene programs at primary schools in the area. Jhai's development work combats pneumonia and diarrhea, which are the #1 and #2 causes of death for Lao children under the age of 5 years old. Since 2012, Jhai has installed 18 clean water wells and implemented Jhai hygiene (WASH) trainings for over 7500 children in 50 primary schools. Also, in partnership with the Minimalists, Misfits, Berni Xiong and Vibrant Village, Jhai built a primary school in Phoummako village. "JHAI JUDGES ITs SUCCESS NOT BY THE AMOUNT OF MONEY EARNED each year but BY THE AMOUNT OF CHILDREN WHO HAVE ACCESS TO CLEAN WATER Wells AND HYGIENE EDUCATION." Jhai believes that with giving comes great responsibility. The truth is, so many forms of aid and development cause far more problems than they solve. Of course, the reasons for this are many, but, at its core, the basis of aid creates dependence so that political or religious agendas can be spread. As a secular non-profit, which aims to empower and eliminate dependence, Jhai has a few core rules and philosophies for how it manages projects from start to finish whether it is children's health or coffee related. 1. We require all villages and communities to co-invest their own money, time, human-power and resources along with managing the project from start to finish. For example, Jhai required the individual communities to get full buy-in for the water wells, the JCFC warehouse, and the school. Each community does this by voting on the initiative and modifying the plan in accordance to their needs and desires. From there, they collectively bring together their own funds, which is a required 15% of the total project cost. If communities cannot afford this or vote not to co-invest in the projects, we do not push the development and wait for them to reconnect with us at a later date when and if they desire. 2. Non-biased development is all about asking the WHY questions. So much of development has a western agenda for how communities should organize themselves. The western mind sees the problem and solution and forces a community into the project with bias. Unfortunately, this often creates an unhealthy long-term relationship: third-world communities become dependent on western donations and are disempowered because of an over-reliance on western NGOs to lead development themselves. Non-biased development is about cultural relativism: asking many communities the WHY questions until they themselves come to the problems and solutions on their own. In doing so, they both own the projects and understand the value and hard work it takes to manifest a better future for their children and themselves. 3. Asset-based development is simple. It's about asking communities what they can bring to the table once they've decided to initiate a project. Assets include money, human-power, tools, lumber, educated technicians (such as builders), etc. These are the ways that the communities own projects and therefore maintain and repair them long after the project finishes. Jhai makes a clear distinction that after the one-year warranty runs out on water wells, it's the communities' responsibility to upkeep their wells and fix them if they break. This hand off is crucial to villages understanding that upkeep is a part of their co-investment well into the future. 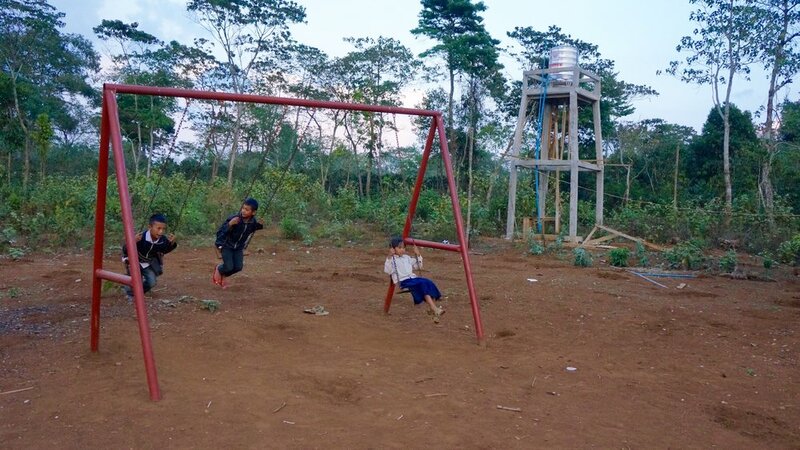 In partnership with Vibrant Village, the Paksong education office and the local provincial hospital, Jhai is ensuring that every single school on the Bolaven Plateau has access to Unicef approved clean water wells, Terra Clear filters and has gone through Jhai's hygiene training. So far, Jhai has installed 18 clean water wells and put 2-3 Terra Clears into usage at 50 primary schools. Community buy-in is key. Jhai requires that all villages co-invest 15% of the project costs and use their own labor from start to finish. All water wells come with a one year warranty from Jhai's water contractor. Terra Clear uses a revolutionary technology that combines colloidal silver with clay that purifies water by pulling out 99.9% of the bacteria, which cause pneumonia and diarrhea in children. Jhai water well #1, Nong Phanoun village, 197 children. 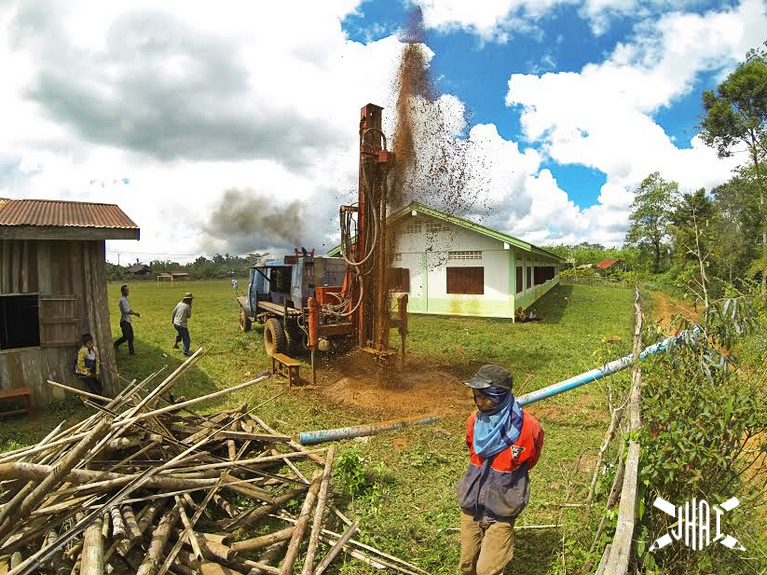 This water well was drilled in 2012 in partnership with MiiR a Seattle based social business. All Jhai Hygiene / WASH programs take place at the primary schools on the Bolaven Plateau and children, teachers and parents are invited to join in and participate. The following ten exercises and accompanying pictures are what that Jhai staff take the schools through. If you have specific questions about the Jhai Hygiene program please email Tyson Adams: tyson@jhaicoffeehouse.com. 1. The 7 technical steps of washing your hands with soap and water. 2. The 3 most important times to wash your hands. 3. Who has the cleanest hands? 4. Using a microscope to view bacteria up close. 5. Tyrannosaurus Rex coloring worksheets. 6. Using flour to show how bacteria passes from one child to the next. 7. Would you put your hands in another child's mouth? 8. Terra Clear water filter training. 9. Oral hygiene training and teeth brushing. 10. Hygiene education for children with babies at home. Click to play: 197 Lao kiddos from Ta Od village going through a Jhai Hygiene program! In partnership with the Minimalists, Misfits, Berni Xiong and Vibrant Village, Jhai built a primary school in Phoumako village in 2016. It was the first time Jhai had done anything of this scale and it turned out to be a great success! As with all Jhai projects, Phoumako was required to co-invest 15% of the project costs and provide all the labor necessary for completely the project from start to finish. Not only where they more than happy with this arrangement but they completed the school ahead of schedule. "Look at the holes in my roof & My dirt floor. When it rains it becomes muddy and I have to cancel class because the children don't come. I don't need a library, I need a new school." If you are a cafe located in Laos / SE Asia and are interested in carrying Jhai Coffee House roasted coffee, please go to our Visit Us page and send us an email with your wholesale inquiry. We will then forward you our pricing sheet for all our roasted coffee offerings. 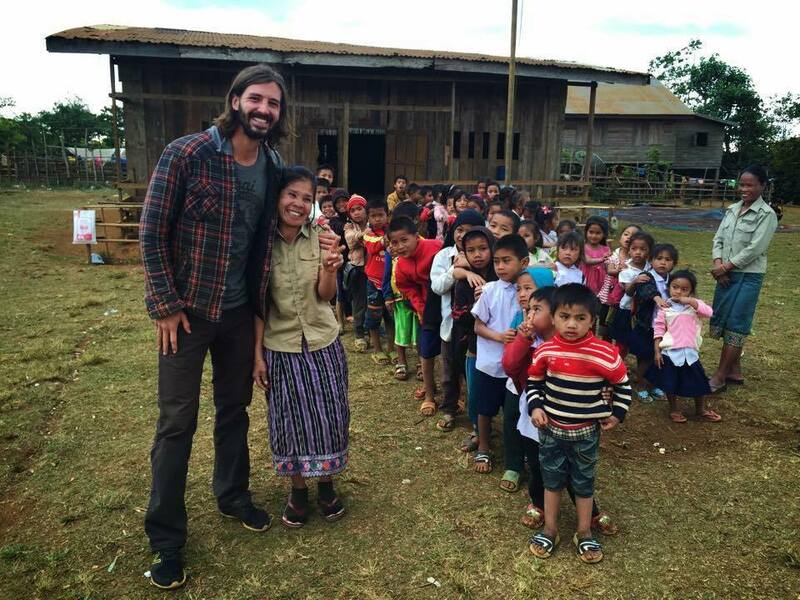 Buying coffee from Jhai supports building clean water wells and performing hygiene programs. Unfortunately, we cannot supply green beans to roasters and cafes in the region. In the fall of 2017, U.S.A Ambassador, Rena Bitter, visited Jhai Coffee House where she met Filanthrope and the Jhai team to assess the work they were doing with the JCFC. Later that month, she invited both teams to the embassy in Vientiane where they began discussing future projects that could be funded to positively impact Lao coffee. Read about the visit here.